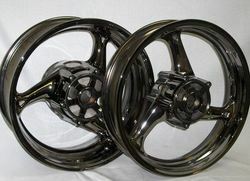 We provide different types of coatings which includes, Black Chrome Plating. Our company has achieved laurels in providing Garment Tag Chrome Black Plating Service. Chrome is plated over bright nickel where a hard, decorative finish is desired. 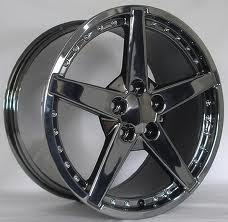 The chrome provides surface hardness while the nickel provides luster. The combination has good corrosion protection and excellent wear resistance. It is used for a variety of parts in the automotive, motorcycle, furniture, plumbing, lighting and many other industries. Medium back, Visitor chair ply inbuilt with chrome plated pipe frame, Wooden arms and leatherite tapestry and side wooden consol for smart look. The mirror finish of the top quality chrome plating gives this range its style and distinction. Traditional engineering skills have made each product a thing of both quality and beauty to enhance your desktop for years to come. At left is an example of damaged longwall hydraulic rods to be refurbished using cylindrical grinding to remove damage, then hard chrome plated and reground to drawing specifications. New generation black chrome plating process produces attractive jet black finish after coated with Duroseal. Excellent choice for decorative and solar energy absorber.